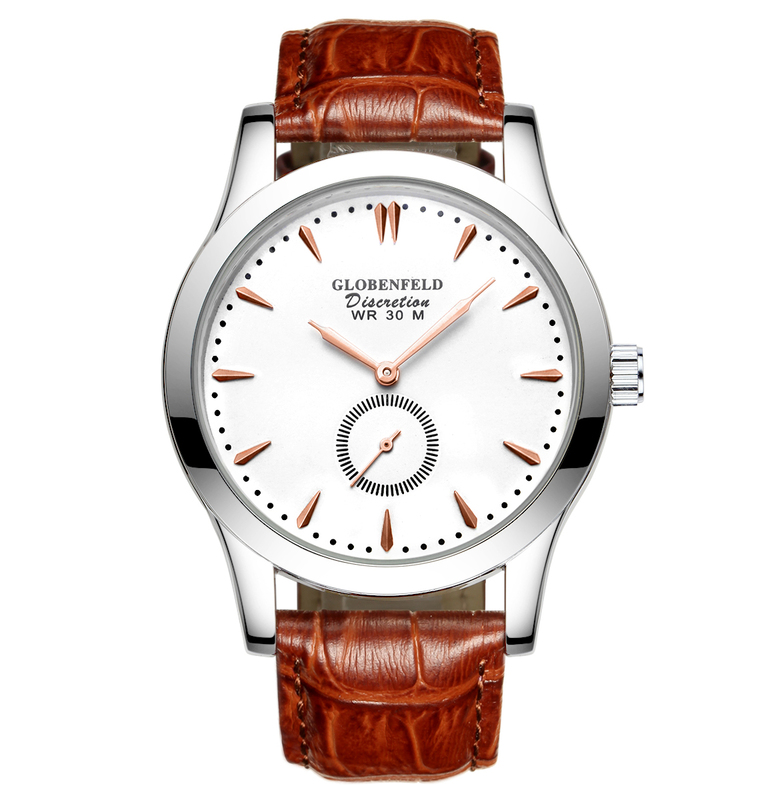 This discreet timepiece is a superb example of master craftsmanship in watch making. The model boasts an Ivory White dial complemented by Antique Rose indices and the easily recognisable Globenfeld separate seconds counter. 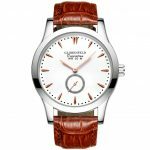 The Tobacco Brown high grade leather strap helps make this this watch an eye catcher wherever it’s worn.